My Presentation is a plugin for Wordpress that allows to create presentations of different elements/features directly into the frontend of any theme. Very often the sites contain special items, original design or unique features that the developer wants to put in the record and to present them in a simple form to its users. For these reasons it would be welcomed a quick and cheap solution that will save your time and resources, meanwhile bringing a considerable value for users. For that was created My Presentation plugin, which allows the site administrator to put out those features which sets it apart from other products on the market. 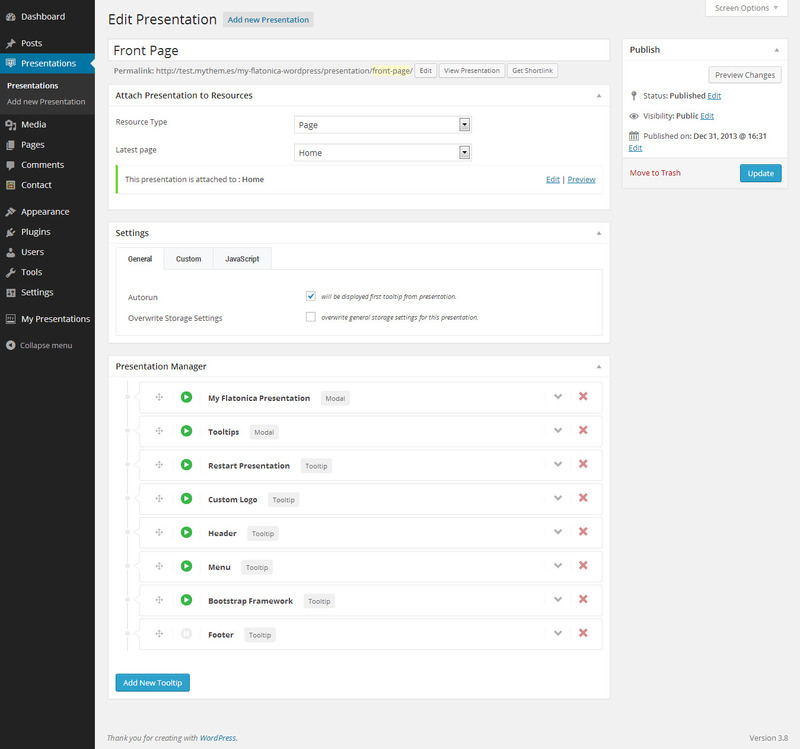 My Presentation plugin is accessible to anyone and saves precious time. Also the plugin comes with a premium support for users. This product is a solution that allows you to put in evidence any element no matter how crowded is the web page. It also allows you to realize a conscious and pleasant navigation for your visitors. More than that, the plugin allows you to you interact more intensively and in a much more comfortable way with visitors. Thus they will be impressed by your page. it is necessary for the user to perform some initialization steps to understand how work certain parts of the site. visitors must navigate step by step from one element to another. 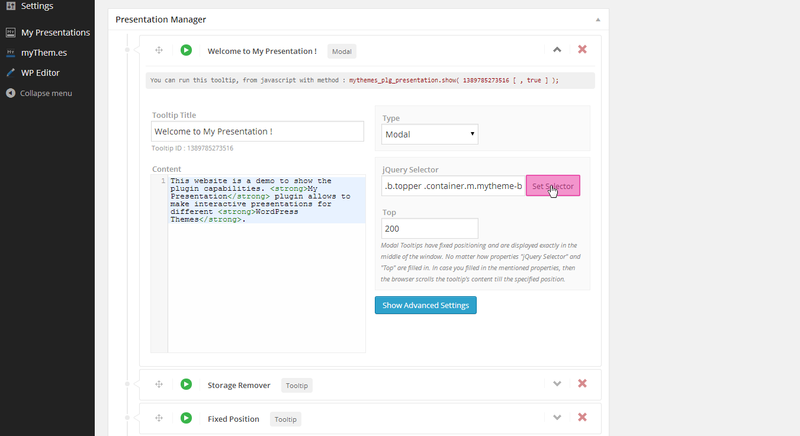 My Presentation plugin can be used by a simple WordPress user for personal purposes like: blog presentation, services, customization, etc; as well as by professional developer of WordPress that can use it for commercial products presentation. 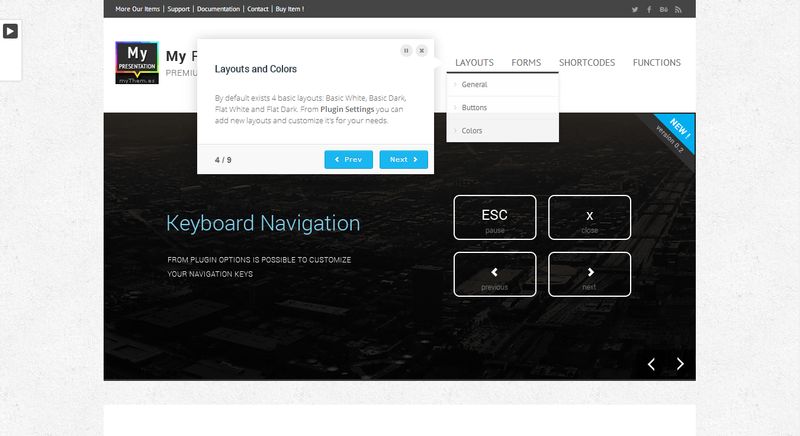 From plugin options you can customize keyboard navigation. 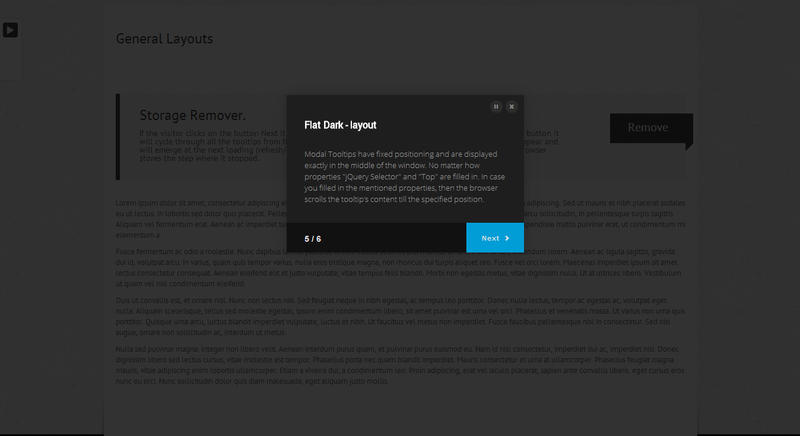 With My Presentation plugin you can build new templates for tooltips that will be used in presentations. 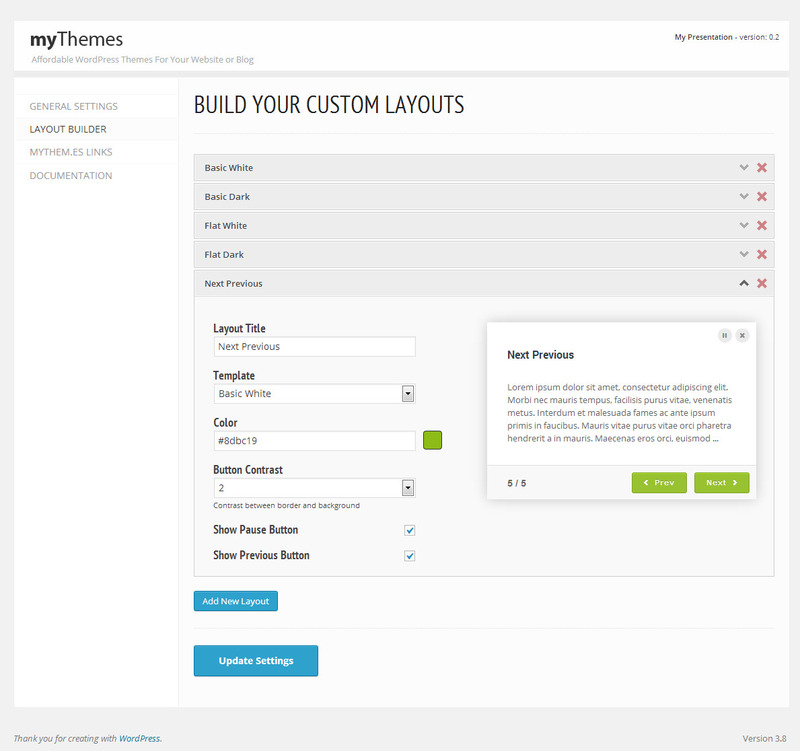 The new templates are built based on four predefined templates: Basic White, Basic Dark, Flat White and Flat Dark. Also is possible to change the color of the buttons for all skins. Examples and methods of using the plugin My Presentation in the forms and use with events focusIn / focusOut, autorun and simple navigation ( next / prev ). In the new version, plugin, self-identify custom posts. Therefore attaching presentations on different types of resources is much easier. Also, we can attach a presentation to all posts of a certain type. 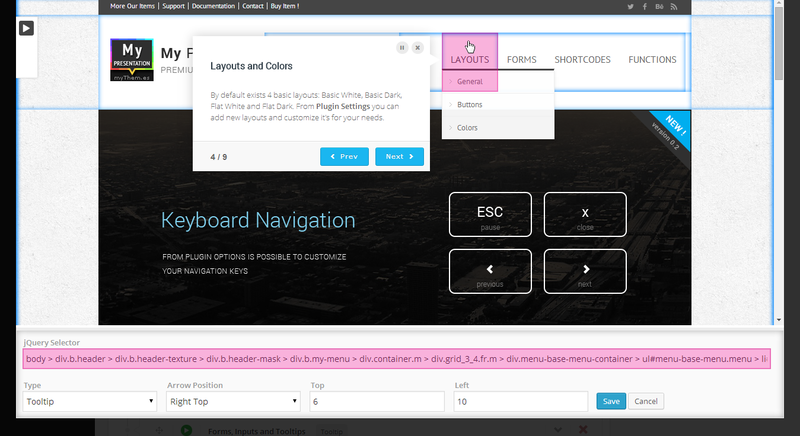 From version 0.5 were made the major changes like support for responsive themes and visual attach and live preview tooltips. 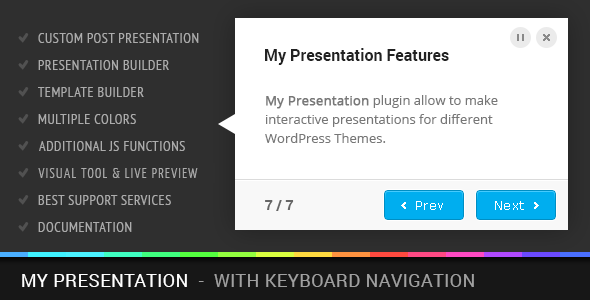 From version 0.5 plugin “My Presentation” contains feature “Visual Attach Tooltip”. Attaching is done with just one click. Select the item to which it’s attached tooltip and jQuery selector completes itself. 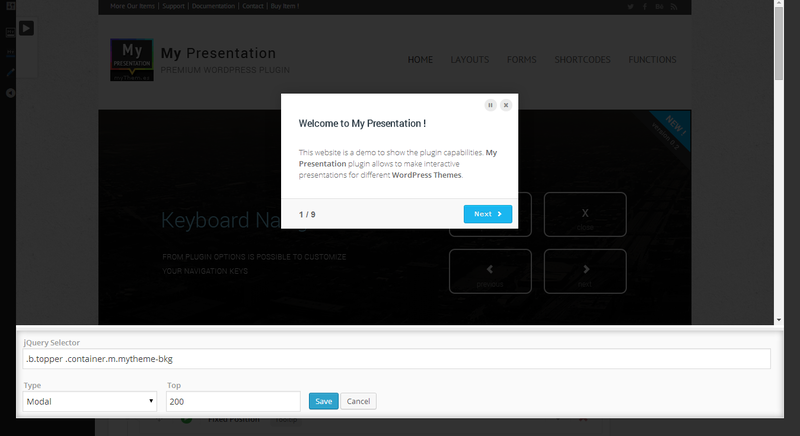 Also from version 0.5 plugin “My Presentation” contains feature “Live Preview Changes”. This feature allows you to build a presentation in the most convenient, fast and accurate way that will definitely fascinate your customers. The plugin has a very detailed documentation and includes all points that may interest you. Also offers forum and contact form for a faster interaction.